A centre record price of 2,100gns was set at the Jacob Sheep Society’s Scottish regional sale at St Boswells. 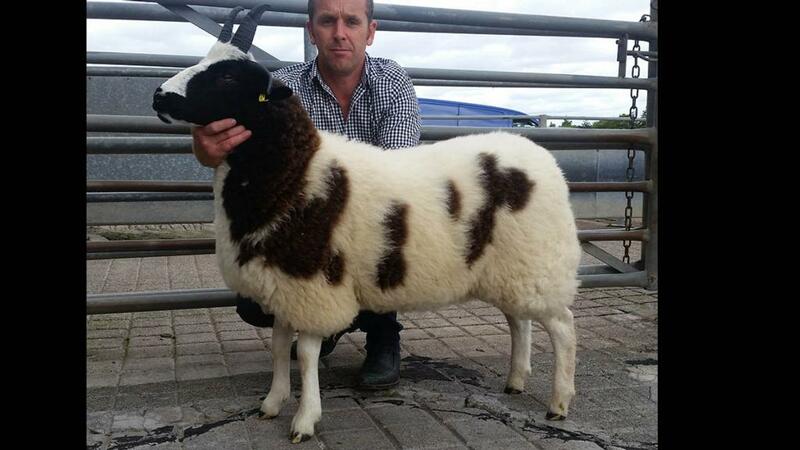 Top price was for a shearling ram, Harbell Lincoln, from Max Harper, Hawick. The leading bid in this four-horn dominated sale was for the male and supreme champion, a shearling ram, Harbell Lincoln, from Max Harper, Hawick. By Arkleside Dudley, out of a home-bred ewe, it sold to Ewen MacMillan, Fintry, Glasgow, who also paid the day’s second highest price of 1,400gns for the female and reserve supreme champion. This was a ewe lamb from Wyn and Siwan Harries, Llandeilo. Bred in their Hope flock, the four-horned lamb is by Pike Field Braveheart out of a Saughtree-sired Hope ewe. It was Pike Field flock owner, Kevin Gaskell, Horwich, Lancashire, who paid the next highest price, 850gns, for the first prize shearling ewe, again from Messrs Harries and by Hyndshaw Highland Laddie. Second highest price, a ewe lamb from Wyn and Siwan Harries, Llandeilo. Connor and Dalrymple, Linlithgow, paid 700gns for the third prize ram lamb, Gowanbank Carter, a January-born four-horner by Fields Flash out of a Milldale ewe from W. Crowe, Arbroath, Angus. There were three bids of 650gns, including the second prize ram lamb Hope Rocket, Hope Rocky Boy, which sold in a three-way purchase to Marion Leithead and Melanie Harper, Hawick, and Lyn Jones, Builth Wells. At the same price, E.J. 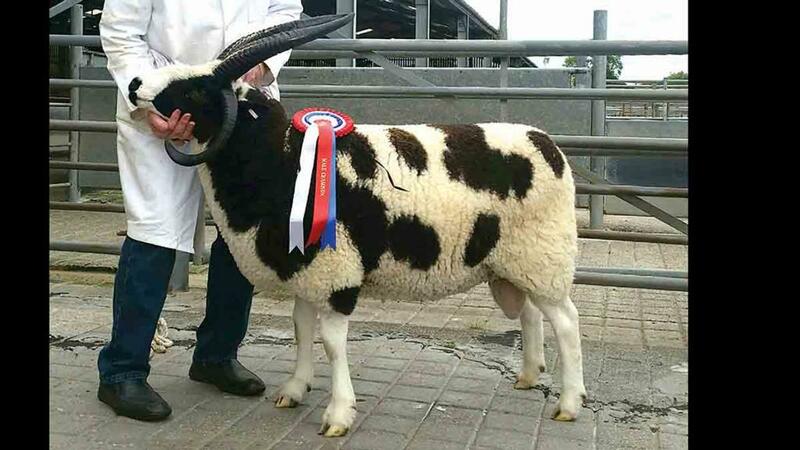 Wilson, Wasdale, Cumbria, bought Haworth and Locker’s Pentrenant Louis-sired ewe lamb out of a Meathop ewe, from their Blackadder flock at Skipton. Huntly, Aberdeenshire breeder Adam Christie paid the same price for the third prize ewe lamb, by Oakdean Dave, from Mike Munro, Ladybank, Fife. 4 shearling rams, £732.38; 12 ram lambs, £343.88; 1 aged ram, £147; 18 shearling ewes, £301; 23 ewe lambs, £324.13; 2 aged ewes, £162.75.